Whether you have a regular scheduled maintenance check up on the horizon or you need a repair, we have you covered. And not only do we provide the service your vehicle needs to keep running in top shape, we also have the genuine parts your vehicle needs. See our Kia Parts Department to see what Kia incentives we have that make paying for repair less of a burden on your wallet. Want to learn more about when you need to bring your vehicle in for tire rotations or when you should bring your car in for an oil change? Check your owner’s manual for your model specific information or give us a call! 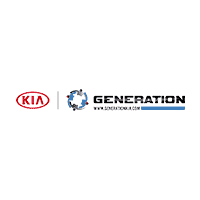 At Generation Kia, we pride ourselves on our knowledgeable staff and quality customer service. When you’re ready to bring your vehicle in or if you have any questions, don’t hesitate to contact our Service Department! And if you want to know more about our services, new Kia models, or about what Kia accessories are available to you, you can trust Generation Kia to have the answers. Visit us near Holbrook today!